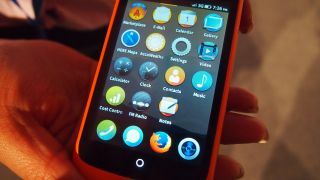 The ZTE Open handset, running Mozilla's new Firefox OS, is now available to buy in the US and the UK as an eBay exclusive. The low-spec handset, which debuted in Spain last month, can be snapped up only on ZTE's official eBay stores on both sides of the Atlantic. British-based smartphone fans seeking a taste of the newest operating system on the block will pay just £60 (including P&P), while their American cousins will pay $80 bones. The Open is the first phone to boast the new HTML5-based software and arrives with a 3.5-inch 480 × 320 HVGA display a 3.2-megapixel camera, Wi-Fi, Bluetooth 2.1 and an FM Radio. While, spec wise, the handset isn't even close to competing with the big guns, the expenditure is minimal for those who wish to have a nose around the browser-maker's new mobile offering. Head on over to the eBay stores where there are limited qualities available, with 556 handsets sold in the UK and 402 sold in the US at the time of writing.